On April 12, 1861, the first shot of the American Civil War was fired just before sunrise at Fort Sumter, South Carolina. Eight days later, Professor Thaddeus Lowe left Cincinnati Ohio in his hot air balloon, the Enterprise, bound for Washington, D.C. After traveling nine hours and eight hundred miles, he landed “slightly” off course in the Kelton farmlands of Union County, South Carolina. There has been much written about Professor Lowe’s balloon landing on April 20, 1861. The locals erected a historical marker, and more than one hundred and fifty years after the landing, an occasional newspaper article recalling the event makes its way into print. There was no photographer present to preserve Professor Lowe’s arrival. Instead, we are fortunate to have a visual “snapshot”—his observations of the locals: the gun toting men who met him in the field with mostly reddish long hair and beards…their rotund stomachs covered with blue jean clothing and their heads with slouch hats. While many of the men cowered behind bushes, two brave women, Theresa Hames and Susie Palmer, took hold of the rope that Professor Lowe dropped to the earth, and pulled him out of the sky. Once he had convinced the frightened spectators who had witnessed the balloon’s descent that he was neither a Yankee spy nor the devil, he and his hot air balloon were loaded upon a large, lumbering wagon pulled by six mules and driven by Stephen Fowler to Unionville. Stephen Fowler was the third son born to Ephraim Fowler and Nancy Moseley. His year of birth fell around 1798 to 1800, and his place of birth was Union County, South Carolina. He was married twice–his first wife being Sarah and his second, Letticia. One of the rope-pulling women, Susie Palmer, was a daughter of Stephen Fowler and his first wife Sarah. Mary Susan Fowler was born c. 1834, married Jackson Palmer, and died June 30, 1918. She was buried in the Haney graveyard in Kelton, not so very far from the site of the balloon landing. Theresa Hames, the other rope-pulling woman, was the daughter of Stephen’s sister, Lydia Fowler Hames and Charles Hames. Theresa Hames was recorded in the 1860 Union County census living at Mount Joy……the present site of the Balloon Landing historical marker. In my search for records of Stephen Fowler, his mention in the Balloon Landing saga is an extraordinary glimpse into a day in his life. It is most fortunate for us that he and the two brave female members of his family were involved with the events on April 20, 1861, and even more so that their names were recorded for posterity. There is another document that I am extremely grateful to have found–the estate settlement petition made by his second wife, Letticia. This document gives us the first names of his two wives, and the names of his sons and daughters. From the above document, we learn that Stephen Fowler was married first to Sarah, and they had sons Moorman, Henry, Shelton, and Bryant; and daughters (Mary) Susan (married to Jackson Palmer), and Cansady (married to Henry Wright). Stephen’s second wife was Letticia who petitioned the court to settle the estate after his death in 1866. Stephen and Letticia had son Marion, and daughter Louisa. Census records seem to indicate that Stephen and Sarah may have had more children not mentioned in the estate settlement. There is circumstantial evidence that there may have been a daughter (or daughter-in-law) named Caroline and a son (or son-in-law) named Jack Fowler. What else do we know about Stephen Fowler? In 1832, he mortgaged 100 acres located on Fannins Creek to William Gault for a $26 debt. This property adjoined land owned by William Gault, James Millwood, Mark Wood, William Fowler, and other land owned by himself. Previous to October 1, 1849, he sold his one-eighth share of his father’s estate to James Farr. Stephen Fowler died June 13, 1866; his possessions were appraised in September, and put up for auction on November 30, 1866. His widow Letticia purchased most of the estate, buying 30 pounds of cotton, 12 bushels of corn, 1 bed and furniture, 1 cupboard, a spinning wheel, a slab and a box, a table and 3 chairs, 2 jars and some nails, a lot of irons, and a plow, a vase, 3 earthen plates, 3 hogs, and a mule. Son Morman Fowler purchased 2 iron wedges, fodder, and a mule. Son Marion Fowler bought a lot of irons, some hoops, farming tools, and “truck” wheels. Dr. Robert Little walked away with some old irons, 3 hogs, and a wagon that sold for $30.25……perhaps the very wagon that Stephen Fowler used to transport Professor Lowe’s hot air balloon to Unionville in 1861! The land that Stephen Fowler owned was 85 acres, more or less, bounded by land owned by David Gallman, the estate of A.F. Haney, and Thomas Whitesides. Widow Letticia Fowler purchased the land at auction on November 4, 1867 for $110. William Bevis was the executor of the estate. He was a neighbor but also had other connections to the Fowler family. William Bevis had married three times, the second wife being Zilla Hames, daughter of Ephraim Fowler’s daughter Sarah Fowler Hames. His daughter Selena Bevis married William G. Fowler, and his son John M. Bevis married his niece Vesta Fowler (daughter of Selena Bevis and William G. Fowler). William Bevis had been deeply involved with the final settlement of Ephraim Fowler’s estate during the years 1846 to 1899. His ties to the Fowler family were many and complicated. There were fewer persons living in the Stephen Fowler household of 1840. His wife in 1840 could have been either Sarah or Letticia. At one time, I believed that Sarah was the female listed as age 30-39. At this present time, I speculate that Sarah had died before 1840, Stephen had married Letticia, and their daughter Louisa was the female >5 recorded in the census of 1840. The 1850 census defines the Stephen Fowler household with the names of all persons living within. I only question the presence of Caroline. Was she a daughter, or a daughter-in law? Caroline and Jack Fowler were the future parents of Clementine Fowler, born in 1870. If Caroline was a daughter, why was she not mentioned in the Stephen Fowler estate settlement of 1866? And why was Jack missing in census records in 1850? Stephen Fowler and his family were recorded in the 1860 census. The upcoming decade would bring many changes to the family. The Civil War began the next year, Stephen would meet his death six years later, leaving Letticia a widow, and son Marion would become involved in the KKK post war, and would eventually serve prison time in upstate New York for his Klan activities. Stephen Fowler died in 1866, and his widow Lettica was head of household in 1870. Son Marion Fowler had married and was head of his own household. Daughter Louisa Fowler still lived with her mother. There were three young girls in the home—Mary, Etta, and Clementine. Clementine was the daughter of Jack and Caroline Fowler. Were Mary and Etta also the children of this couple, or the daughters of Louisa? The 1880 census raises more questions than it answers. It perhaps gives us a hint of Letticia’s origins. She was recorded as Tishie Fowler, age 71 and disabled with paralysis, in the household of William Bentley in 1880. Was Letticia a “Bentley” before she married Stephen Fowler? Eleven year old Clementine Fowler was also living in the household with the William Bentley family. Was Clementine the (step)granddaughter of Letticia? This conclusion depends on Caroline Fowler or Jack Fowler being a child of Stephen Fowler and Sarah. Etta Fowler, age 14, was living in the Shelton Addis household next door. Shelton Addis had married Eliza Bentley. Eliza’s sister Josephine Bentley was also living in the home. Why were Letticia, Clementine, and Etta Fowler in these households? Clementine Fowler was connected to the Stephen Fowler family. The big question is how? Was Caroline a daughter of Stephen, or was Jack a son? It may be of some importance and must be mentioned that there was a Jackson Fowler in Cobb County, Georgia in 1870 with possible ties to the Ephraim Fowler family. As it often is in genealogy, the path is twisted and takes many turns, but please bear with me. The conclusion is worth the journey. Ephraim Fowler’s son, Ellis Fowler, had a daughter named Julia Fowler, born circa 1828. 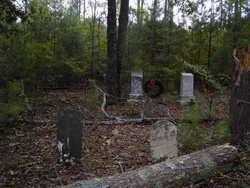 Julia married William Sprouse and the couple moved from Union County, SC to Georgia in the years between 1850 to 1860. Ephraim Fowler’s daughter Milly Fowler married James Millwood. They had a son named Tillman Millwood born in 1827. Tillman married a woman named Mary, and a daughter was born to them in 1858. The daughter was named Rameth Millwood. Three years later, on November 22, 1862, Tillman Millwood was killed while on picket post duty during the Civil War. Fast forward to 1870. Cobb County, Georgia. Julia Fowler Sprouse and her family are living in this county adjacent to Jackson Fowler, wife Mary, daughter Emily, and Rameth Millwood, daughter of the deceased Tillman Millwood. Bottom line: Ephraim Fowler’s great-granddaughter Rameth Millwood was living in the household of Jackson Fowler in 1870 next to Ephraim Fowler’s granddaughter Julia Fowler Sprouse. So…..who was this Jackson Fowler and how was he connected to the Ephraim Fowler family? Was he the “Jack” Fowler, father of Clementine Fowler? Was he a son of Ephraim’s son Stephen? Was he a Fowler cousin who married Stephen’s daughter Caroline? And Mary. Tillman Millwood was married to Mary. So was Jackson Fowler. Was this the same Mary? There is an age discrepancy in census records so I am not sure about this. It is possible but more research is needed. “Clementine Cudd, a daughter of Jack and Caroline Fowler, was born in Union County, SC on December 11, 1870. Orphaned as a small child, she was raised by Bill and Nancy Ann Bentley of the Adamsburg section of Union County. Mrs. Bentley taught her many skills, for which Mrs. Cudd became well-known: knitting, quilting, weaving, spinning, and tatting.